ADELINE Dumapong-Ancheta has long proven that disability is never an obstacle to sports supremacy. Contracting polio at an early age, the Filipina powerlifter used to push her wheelchair to the gym just to attend her trainings, rain or shine, as regular public transportation proved to be a challenge. And she overcame all the adversity when she won the Philippines’ first medal in the Paralympic Games, bagging a bronze in the 2000 edition in Sydney. 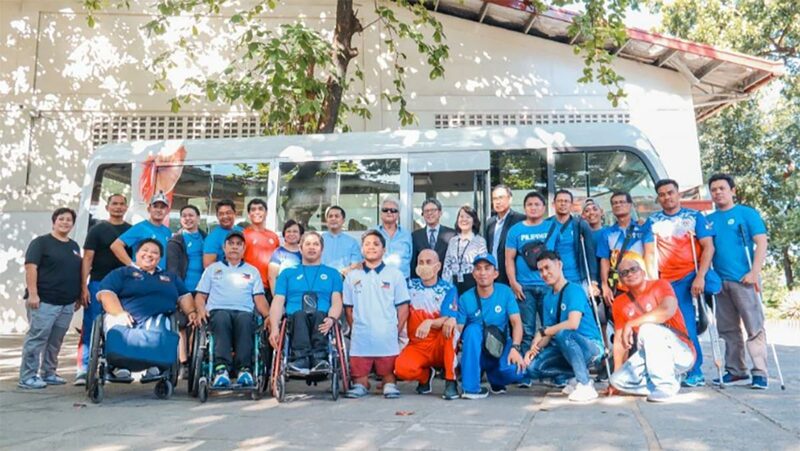 Dumapong-Ancheta, now a board member on the Philippine Paralympic Committee (PPC), the national sports association tasked to develop Parasports in the country, is glad see that the road to relevance for Pinoy para-athletes has become less difficult. Helping the current roster of athletes reach their trainings and competitions a lot easier, Toyota Motor Philippines (TMP) recently turned over a 29-seater Toyota Coaster to the PPC as part of its commitment to support Filipino Para athletes and help uplift Parasports in the country. The donation was made under Toyota’s global corporate initiative - Start Your Impossible, which aims to promote inclusivity and sustainability by opening opportunities to Para athletes and helping them seek avenues that can help them realize their dreams. “Ever since we started, having a bus or van to be used by our officials, coaches, and athletes to move around was one of the top priorities on our "wish list". Toyota's donation of a coaster, will help alleviate one of the most difficult challenges persons with disabilities face day-to-day which is mobility,” said Barredo as he accepted the Coaster on behalf of the PPC. The Coaster donation is just one of TMP's efforts under the Start Your Impossible program. Last year, TMP chose the PPC and its Asian Para Games swimming gold medalist, Ernie Gawilan to be the primary beneficiaries of last year’s Toyota Classics – a benefit concert series that aims to support charities across Asia. For more information on the Start Your Impossible initiative, visit https://startyourimpossible.asia .